Serving the Belhaven family of alumni with the latest news and events in the life of their alma mater. BU…YOU KNOW! Who is Miss Fanny Bright? There is no official answer to that question that I could find. There are many different theories as to who (or what) that may be. James Lord Pierpont (1822-1893)–related to the J.P. Morgan of corporate finance fame–wrote and published the song under the title “One Horse Open Sleigh.” Although it is now associated with Christmas, it was meant for the American Thanksgiving holiday. There is a plaque in the center of Medford Square in Medford, Massachusetts that claims it as the “birthplace” of “Jingle Bells.” And, apparently, it is thought that the song was inspired by the town’s sleigh races during the 19th century. It will make you smile! Make plans to attend the 82nd Belhaven Singing Christmas Tree this year. And, go ahead and make your gift to The Belhaven Fund for Student Scholarships in order to receive your very own commemorative Singing Christmas Tree Ornament. Upcoming Belhaven events and why you should attend!! 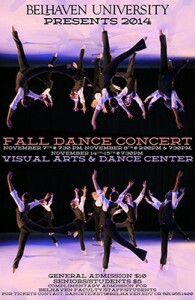 Fall Dance Concert is here!! 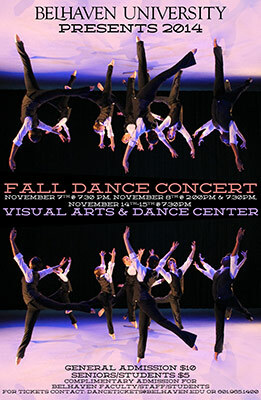 This year will showcase the choreography of dance faculty and guest artists from the Belhaven University Dance Ensemble at the Bitsy Irby Visual Arts and Dance Center Studio. Styles will include classical and contemporary ballet and contemporary modern dance. Friday, November 7, 7:30 p.m.
Saturday, November 8, 2:00 p.m. and 7:30 p.m.
Friday, November 14, 7:30 p.m.
Saturday, November 15, 7:30 p.m.
General admission for the performance will be $10. Admission for seniors and non-Belhaven students will be $5. Admission will be complimentary for Belhaven faculty, staff, students and immediate families. Why should you attend? Because our students are making a difference in the lives of others! Our dance students have an impact that reaches beyond the Jackson Metro area. During the Belhaven University Dance Department’s 5 weeks (May-June 2014) tour three faculty members and nine students traveled throughout South Korea. 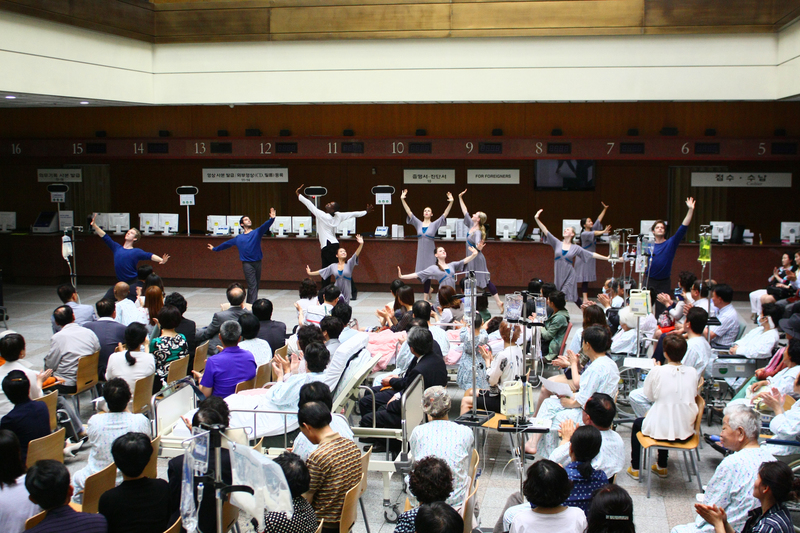 Faculty members Cynthia Newland and Laura Morton drove the Korea Dance Ensemble nearly 3,000 miles, traveled to 13 cities and performed at 33 venues. 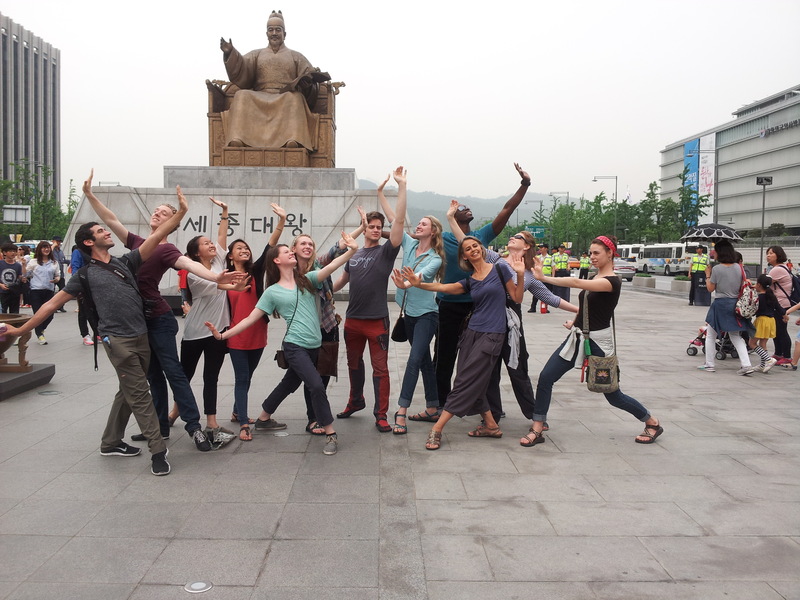 The aims of the trip were successfully accomplished as the Ensemble brought the truth and hope of Jesus Christ through the art of dance to both Christian and non-Christian. The group offered dance teachings and performance to a variety of settings including K-12 schools, colleges and universities, churches, theaters, a retirement center and hospital. What motivates you to support Belhaven? I received an appeal from RUF (Reformed University Fellowship) in the mail last night. I opened it and read with great care of the things happening in that organization. There was a little tug on my heart and I told my husband, “we should give to that.” Then we reminisced for a bit about our personal RUF experiences. There is a tug on my heart when I remember the impact Belhaven had on my life. The Lord used this place and the Faculty therein to change my life for the better. It pulls on my heart strings and I am motivated give. I give to Belhaven because I believe in her mission, the Faculty and the execution of her training. It is my job to raise awareness and money for Belhaven. While some would hem-and-haw over that, I really enjoy my job. I love the people. I love the process. I love Belhaven for what she is. And that motivates me to give. What motivates you? A day for prospective Blazers and their families to enjoy the campus! (Barber Auditorium) For more information, please contact Al Chestnut or Beth Whitney. “Jackson cannot be imagined without our beloved Belhaven in its midst, radiating not only to the limits of our city, the limits of our state, but the limits of the Southland, its beautiful influence is felt. Here we find not only conditions and facilities for the training of the mind and of the aesthetic nature, but as well of the moral and spiritual side of young womanhood. It will be almost impossible to estimate the great worth which Belhaven gives to the community. Let us look at some of those activities; first of all Belhaven is a Christian institution. The fundamental stone in its foundation lies in its teaching and acting The Word of Christ. The alumnae of Belhaven go out into all corners of the state to take their place in the religious work of their communities. The motto of Belhaven is ‘Not to be ministered unto, but to minister’ and the member of the Belhaven community carry this motto into Jackson in large measure. The cultural side of Jackson also is nourished by the Fine Arts Department of Belhaven; The School of Music is a source of much pleasure to the music lovers of the community. Its Glee Club travels throughout the state every spring bringing Belhaven’s message of goodwill to others. The Art Department of Belhaven pictures its scenic beauty in living canvasses. Exhibitions are held every year at the College. Some one has said that ‘the strength of a building is no greater than its foundation.’ As we look backward to its beginning, surely Belhaven has built well, proof which comes by a glance, not alone at the beautiful buildings which have arisen to take the place of the old inadequate equipment but from the very beautiful character of those who have led our girls so splendidly along the path, so critical a time, from youth to womanhood. While 80 years have passed since this publishing, many things still ring true for Belhaven and her contribution to the city of Jackson. Belhaven’s campus still possesses the beauty which is referred to in this writing. The cultural side of Jackson is still being influenced by Belhaven’s Fine Arts Department–plays, musical performances, art exhibitions, THE SINGING CHRISTMAS TREE (see the last post)–open to the public, for the greater good and enjoyment of the community. And, not in the least of importance, is the “character of those who have led our girls so splendidly along the path, so critical a time, from youth to womanhood.” We can insert “students” for girls and “adulthood” for womanhood and the sentence remains a testament to Belhaven’s Faculty and staff. Prepare for Christmas…and help a student! According to commercials, Christmas is “just around the corner.” Yet, as I write this, it feels like it’s 100 degrees outside! But we have good reason to consider Christmas in September–the upcoming Singing Christmas Tree! This year marks the 82nd Annual Singing Christmas Tree and to commemorate that, we have commissioned a special Singing Christmas Tree ornament. Belhaven’s Singing Christmas Tree is the first and oldest outdoor singing tree event in the country. 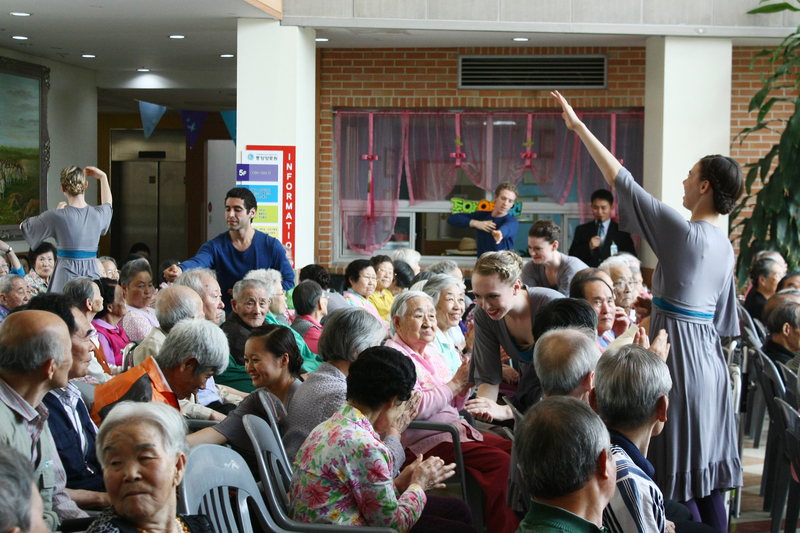 I have loved this project–I was a part of the Singing Christmas Tree for years! Now I enjoy the excitement my children possess while watching the tree. This ornament was fashioned after an actual picture of a Belhaven Singing Christmas Tree. For a limited time, any gift of $82 or more to The Belhaven Fund for Student Scholarships will mean an ornament for your Christmas tree this holiday season. Eighty-two alumni and friends celebrating the 82nd Singing Christmas Tree through an $82 gift to The Belhaven Fund for Student Scholarships could mean a semester of classes for a deserving student. Plus, your gift will be tax deductible. 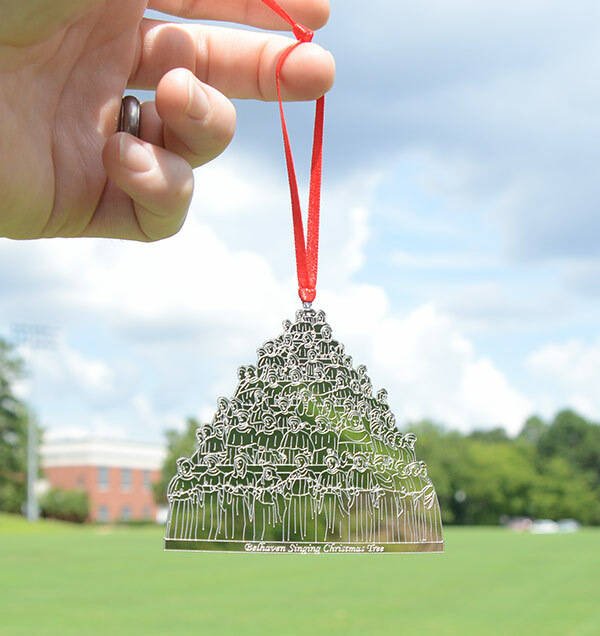 * To secure your Belhaven Singing Christmas Tree ornament, make your gift today through our online giving form or email Beth Whitney at bwhitney@belhaven.edu. *Tax receipts will show the gift minus the cost of the ornament. The wonders of Belhaven professors are spoken of over and over again in my department. We hear it from alumni, friends of the University, residents in the Belhaven neighborhood and current students. I can speak to the truth of that from my own experience as well. Liantonio uses the words “shrill and harsh” to describe some Christian speech. I appreciate his articulation of this type of communication because once upon a time that was my voice. It is sad, but true. And, it hurt. The fool in me believed that I could argue someone into the faith…if I could just deliver to them the truth, if I could give irrefutable evidence of God, then they would have no option but to come on over to my corner of the ring. Let me tell you, that was a sad and lonely corner. And, yet, my professors at Belhaven showed nothing but grace and humility in exposing my folly. My own salvation came not from the voice of ridicule and sternness, but through the love that came from patient and sincere speech. Every week my desk sees the delivery of a large paper entitled, The Chronicle of Higher Education. Last week there was an article that caught my eye: “A Caring Professor: the Key, All Too Rare, in How Graduates Thrive.” The article indicates that in job placement, engagement, and success, relationships with professors makes the difference. University students with significant relationships with professors, advisors, and college staff had a greater sense of purpose and relational skills useful in their occupational outcomes. Every graduating class receives a “New Alumni Participation Survey” from our office. In one question, the new graduate is asked, “What do you remember most about your time at Belhaven?” It never fails that the answer is relationships–faculty that care, students that engage with one another, and an environment that fosters the sharing of ideas. So I say, “Congrats, Belhaven!” You are ahead of the curve, and the Gallup-Purdue Index Report is just now asking the right questions! I listen to a good deal of music. More work gets done that way, so I am busy bopping along to OK GO as I write this. In the past few weeks, a song entitled “Take Me To Church” has come across my shuffling playlist. There is one poignant line that sticks out to me: “I’ll tell you my sins and you can sharpen your knife.” Often, this is how people feel about church–it was an experience of judgment and pain rather than hope and safety. We are comfortably situated right smack-dab in the middle of the Bible belt, and we tend to overlook the idea that there are those around us who are unchurched. And at Belhaven, we are privy to see this truth as it is fleshed out in the lives of some students. Many lost and hurting souls who feel abandoned by the church find themselves at Belhaven in class with peers and professors who care about them, who ask about them, and, more importantly, who pray for them. Our identifier is “Our Standard is Christ.” Dr. Roger Parrott, President of Belhaven, said, “Jesus prayed, taught, mentored, and loved in ways that connected eternal life with earthly life.” At the end of the day, what it boils down to is that we are created to be in relationship–with God and others. The personal investment of Belhaven Faculty in their students bridges that gap for many students. Praise the Lord for such faithfulness! In a recent conversation about the last blog, someone asked me, “What makes Belhaven any different from any other small Christian college?” The question pulled me up short of a sufficient answer. Would not they say the same things…”the Faculty care about me” or “the people are like a second family”? So, I fell asleep wrestling with those questions. Simple. Her people: Dr. Wynn Kenyon. Dr. and Mrs. Martin. Angela Willoughby. Dr. Al Chestnut. Monica Thomas. John Mark Whitney (insert smiley face). My point is made. What made Belhaven unique for you? If you're planning on visiting Belhaven soon, let us know! We would love to show you around campus. Just send an email to alumni@belhaven.edu and let us know when you want to pay us a visit!